Many taxpayers went into panic mode with the passage of the new Tax Cuts and Jobs Act and we can certainly understand why. Every taxpayer, after all, want to optimize their tax liabilities and, more often than not, quick and decisive action is required. But there are cases when thoughtful action is a must lest you find yourself with more tax liabilities than you care to pay! Here are two instances – S-corporations and property tax – where you may want to stop, look and listen first instead of going into panic mode. Under the new tax law, C-corporations have a new tax bracket, specifically in the 21% bracket. Many people with pass-through S-corporation businesses will likely panic from the change instead of running the numbers first. Many of them will also want to change to being a C-corporation ostensibly to take advantage of the tax benefits. But this isn’t exactly applicable to all S-corporations. You have to check with your tax accountant or advisor – Liberty Tax Service has reliable tax professionals for this purpose – first. Keep in mind that the tax implications of the conversion may not be to your benefit. You may, among other things, have to pay double tax for your dividends. Property owners in states with high property taxes are most likely to panic and protest with the passage of the new tax law. Why? The write-off of property and income taxes was capped at $10,000! This was especially true in states like New Jersey with property taxes are among the highest in the United States. Many residents here also like prepaying their property taxes, usually for one to three years. But there are several issues with prepayments under the new tax law. For one thing, it may be subjected to alternative minimum tax (AMT) so the taxpayer can’t undo it, so to speak. Experts say that prepaying for 6 months may be a good idea but any more than that and it isn’t such a good idea anymore. For another thing, you may be paying more real property tax than what you owe to the government, only to have it refunded next year. But there’s a catch here, too: The IRS only allows taxes that have been assessed and paid in 2017 for the 2018 tax return as deductions on the 2017 taxes. This isn’t even the case in many jurisdictions, which complicates things even further. The bottom line: Don’t jump into the fray and make decisions with favorable short-term benefits but with unfavorable long-term consequences. 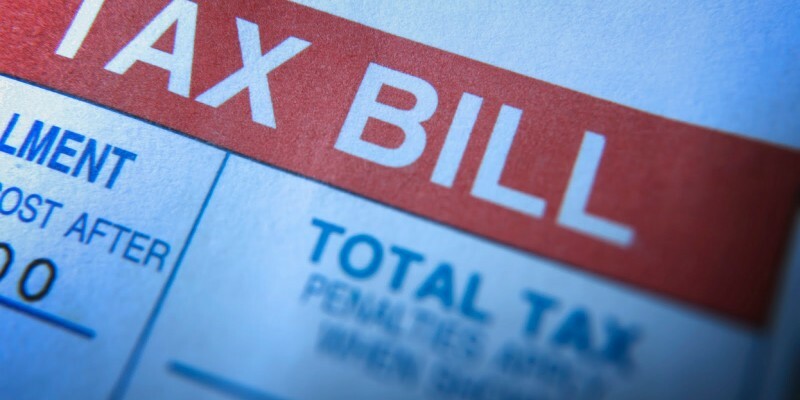 When it comes to your taxes, it’s always best to take a cautious approach.